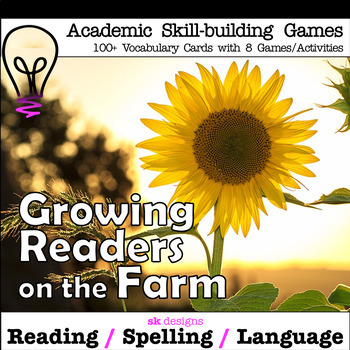 A series of farm-themed literacy activities for beginning and developing readers including phonemic awareness, decoding, spelling, fluency, early composition activities and more. These resources were developed by a trained and licensed academic language therapist and reading specialist and are based on current research for best practices in reading instruction. 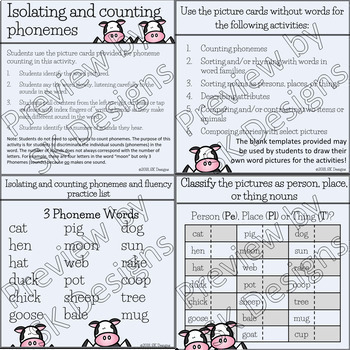 These activities and cards are provided in full-color and black and white formats to accommodate printing preferences. It is our sincere hope that you will find these resources useful as you work with developing readers. The activities are designed to be multi-sensory, fun, and engaging. Most of all they are designed to inspire enthusiasm for reading and language skills.